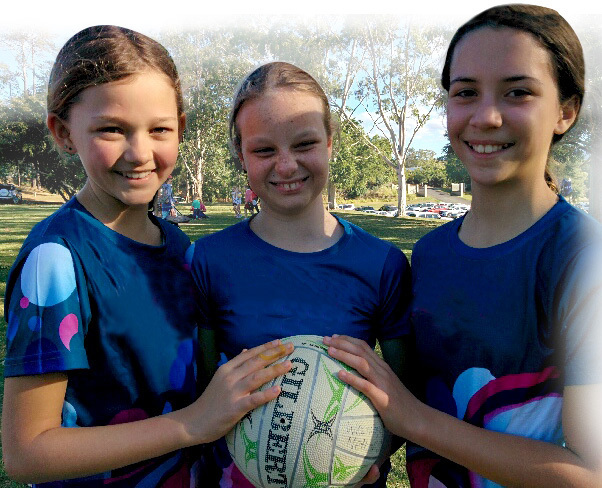 For the team at Coolum Netball Club, it’s important that every child can give netball a go. Inclusion NetSetGO introduces Indigenous and Culturally and Linguistically Diverse (CALD) communities and people with disabilities to netball. The Inclusion NetSetGO program at Coolum Netball Club gives girls and boys aged between seven and 13, with a wide range of conditions including ADHD, Down syndrome, autism and cerebral palsy an opportunity to come and play netball. The program helps these children improve their ball skills and learn the important of teamwork, confidence and friendship. Denise French, the coordinator of Coolum Netball Club’s 10-week program, believes that in her 15 years of coaching, this program has been the most challenging yet the most rewarding. “Some children don’t talk. Others don’t like touch. One little girl watched from the car park for weeks until she was ready to join in. Some hug me off the ground,” said Denise. Over the ten-week program, four regular participants developed strong enough skills and were comfortable enough with each other to take part in a modified competition with other NetSetGO players. To celebrate the end of the program, each child was presented with a medal during a special afternoon tea.